You might have read the news about Paul Newman’s Rolex Daytona watch being sold for astonishing $17.8 million at the Phillips auction house. The bidding went on for 12 minutes, and the famous watch was sold to a bidder on the phone. The price is a definite record-breaker, as this watch reached the highest price ever for a wristwatch at an auction. This particular Rolex model is one of the most sought-after wristwatches in the world. It attracts people from various communities. For instance, those who are passionate about cars and motor-sports are deeply in love with it. Also, those who appreciate the Hollywood memorabilia, as well as those who respect the American history, admire the Paul Newman’s Rolex Daytona. If you too own a Rolex that you wish to sell, you are probably wondering how much it is worth today. The Gold ATM is Atlanta’s top luxury watch buyer, as well as gold buyer and diamond buyer. 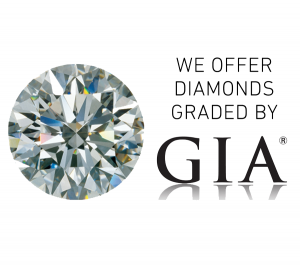 Among other services, we provide free jewelry evaluations for all our customers. That includes designer watches such as Rolex. Bring your designer watch to one of our offices and our attentive personnel will take a close look at it. Furthermore, we will let you see the finer details of your high-end watch under our digital microscope. We will gladly share our knowledge with you and tell you if your Rolex is genuine or not. There are many factors that we take into consideration during a watch evaluation, but we can tell you if it’s genuine or not almost immediately. So, there’s no need to keep wondering; you can learn all there is to know about your Rolex. Visit us for a free evaluation and don’t worry about selling; we operate in a completely pressure-free environment. All our customers are at ease, knowing that they are under no obligation to sell if they aren’t ready. The Gold ATM is also famous for low-interest loans we give on all fine jewelry, including luxury watches (especially Rolex). If you aren’t ready to sell your Rolex, but you need some cash, we will give you the best loan in the area. You can always count on an honest and fair offer. Feel free to pay us a visit at one of our three safe locations in Atlanta; we have offices in Smyrna, Buckhead, and Roswell. If you have any additional questions, feel free to contact us. We look forward to meeting you and invite you to come experience The Gold ATM for yourself.